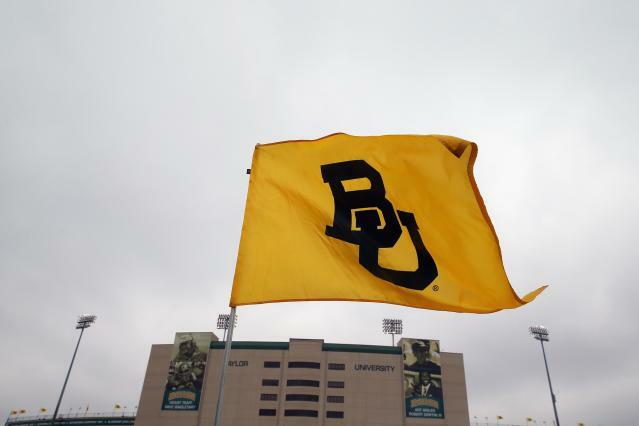 A woman is reportedly planning to file a lawsuit against Baylor for its actions regarding her sexual assault complaint. The former student said she was sexually assaulted by former Baylor player Tevin Elliott, who was sentenced to 20 years in prison in January 2014 regarding the sexual assault of another woman. According to the Waco Tribune, Jasmin Hernandez and her attorneys will announce the lawsuit in a news conference Thursday morning and allege Baylor was indifferent about her complaint. Elliott was the subject of an ESPN Outside the Lines segment in February that included women who said Baylor ignored sexual assault complaints. The OTL investigation "found several examples in Tanya’s case, and others at Baylor, in which school officials either failed to investigate, or adequately investigate, allegations of sexual violence. In many cases, officials did not provide support to those who reported assaults. Moreover, it took Baylor more than three years to comply with a federal directive: In April 2011, the U.S. Department of Education sent a letter to all colleges and universities outlining their responsibilities under Title IX, including the need for each school to have a Title IX coordinator. Baylor didn’t hire a full-time coordinator until fall 2014." Tanya was the pseudonym for one of the women featured in the report. Three women who spoke to Outside the Lines said they were sexually assaulted by Elliott, who played for Baylor for three seasons and made 11 starts. One of the women claimed an associate dean of student conduct at Baylor said she was the sixth person to say she was assualted by Elliott. The Tribune said two former Baylor students in addition to the victim testified at Elliott's trial that he assaulted them and there was also evidence an assault of a fourth student occurred. The school received scrutiny for its handling of the Sam Ukwuachu case throughout 2015. Ukwuachu, a Boise State transfer, was found guilty of sexual assualt in August regarding an incident in October of 2013. He was indicted in June of 2014 and missed the 2014 season for what was termed a violation of team rules.